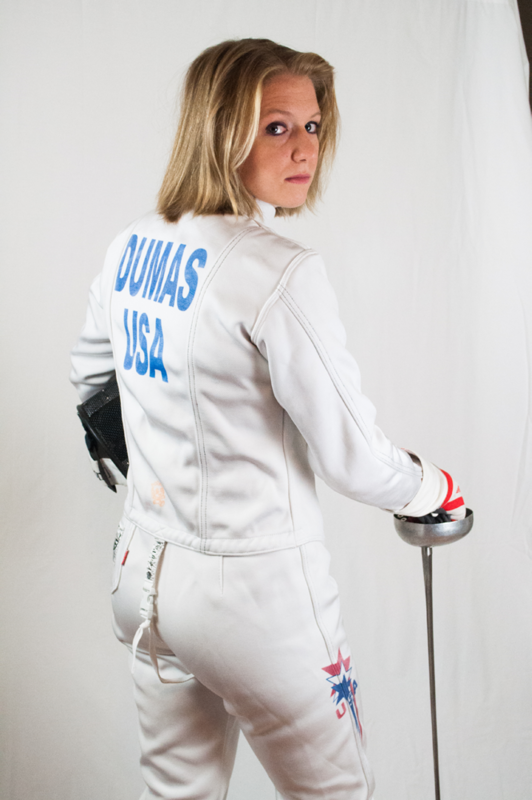 Courtney Dumas, 22, isn’t always sure how people will react when they find out she’s a world-class fencer. “I get a lot of people picking up sticks and asking me to fence them on the spot,” Weinberg senior Dumas says. For Jordan Wilimovsky, 21, competing as an open water swimmer can lead to its own set of puzzling questions. Dumas and Wilimovksy are two of the best athletes from Northwestern University, but most students don’t know much about these athletes or their sports. Over the past year, both of these Wildcats have been going through the highs, lows and frequent flyer miles of Olympic qualifications. As an open water swimmer, Wilimovsky traveled the world with the United States National Team, including a trip to the 2015 World Aquatics Championships in Kazan, Russia. It was there, along the banks of the Kanzanka River, that Wilimovsky punched his ticket to next summer’s Olympic Games in Rio de Janeiro. Dumas didn’t finish among the top four U.S. fencers who will head to Rio, but competing against the world’s best took her about as far from Evanston as any Northwestern athlete could hope to go. “I was traveling almost every weekend for a large portion of the year, just all over the world to different countries. Everywhere from Buenos Aires to China,” Dumas says. 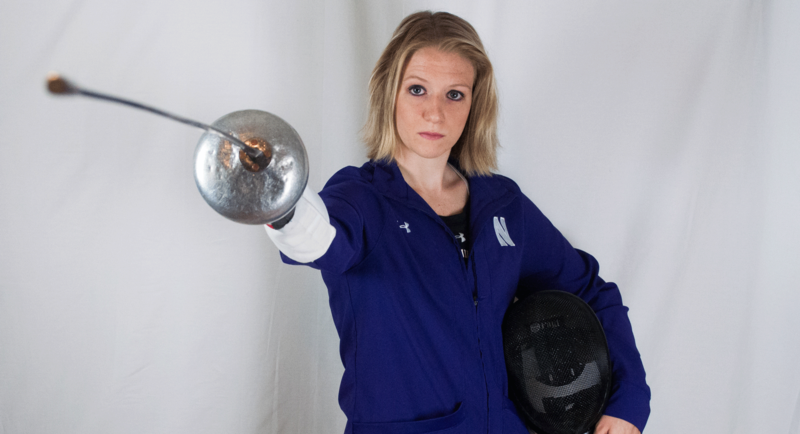 In her three years at NU, Dumas has become one of the leaders of the fencing team. She led the Wildcats to a 10th-place finish at the NCAA Championships as a junior, before taking the 2014-15 season off to focus on qualifying for the Olympics. Wilimovsky’s gold medal in the 10-kilometer open water event in Russia secured his place in Rio, but he has also achieved success in collegiate races. He owns school records in the 500- and 1,000-yard freestyle as well as the 400-yard individual medley. And he’s dominated the 1,650-yard freestyle, where he has won a Big Ten championship and finished third at the NCAA Championships in addition to a school record. But the event at which he excels (the 10-kilometer open water marathon) is one of swimming’s least understood events. It was only added to the Olympic program in 2008, and many fans still don’t totally appreciate how the event works. Much like cycling, open water swimmers travel in a pack and can receive water and hydrating gels during the race. Wilimovksy says he was responsible for keeping track of the various supplies he needed during a meet. Fencing is a sport that boasts a global appeal, a popular form of recreation and military training for centuries. Competitors attempt to hit their opponent while staying within the boundaries of a narrow court, with rules varying on the kind of sword used during combat. Dumas is an épée fencer, meaning she uses the largest and heaviest weapon found in the sport. Traveling to different countries presented its own challenges for Wilimovsky, who was forced to adjust to different climates and weather patterns all over the world. Because his race strategy is based on everything from water temperature to wave height, Wilimovksy was constantly adapting to the local wind and water conditions. “If [the water is] flat, you're just going to stick with whatever your race strategy is, but if it's choppy you might have to adapt and stay within the pack more, because it's harder to swim by yourself when the waves are bigger,” Wilimovsky says. At last summer’s World Aquatics Championships in Russia, Wilimovsky faced 69 competitors in a marathon swim down the Kazanka River. He started slowly, hanging with the pack before turning on the jets and pulling away to win by 12 seconds. With the 2016 Summer Olympics approaching, Wilimovsky will look to accomplish the same feat in Rio. The field will be even more crowded and the conditions just as unpredictable, but he’s already begun to plan his strategy. Recent projections have the water temperature in Brazil hovering in the low 60s next summer, a little chilly for Wilimovsky, but he says he will make adjustments. As Wilimovsky continues his Olympic preparation, he’s taking a redshirt season from the NU swim team. The thought of competing on sport’s biggest stage would be enough to rattle even the most experienced athletes, but Wilimovsky says he has spoken with several former Olympic swimmers who offered him the same piece of advice.